Homemade eggnog with rum and kahlua tastes so different, and way better, from store bought eggnog. It’s light, silky and not too sweet with wonderful Christmas spices, vanilla and a generous helping of rum and kahlua to get you in the Christmas spirit. 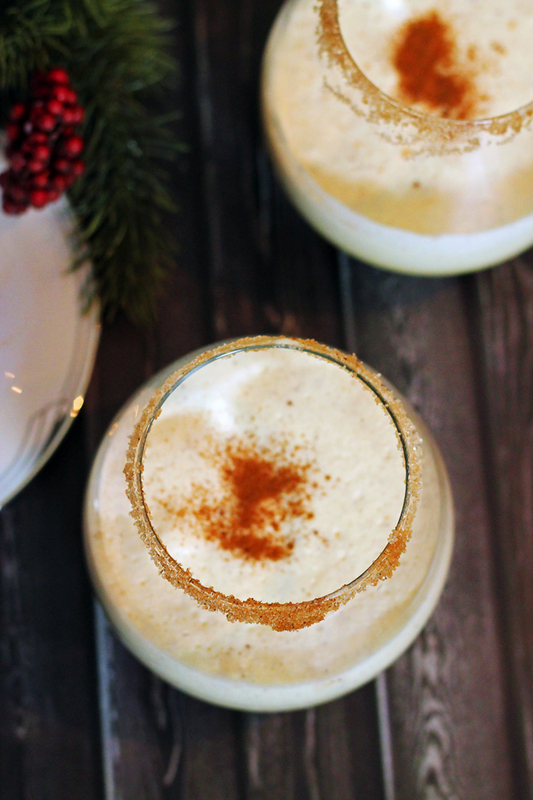 Make this homemade eggnog your new family tradition! As we were talking about it, Debbie remembered that her dad, Peter, used to make homemade eggnog with rum every year when she was growing up. Peter was a Aero Technican in the Canadian Forces so he fixed planes and taught others to fix them as well. When Debbie was little, they lived on a military base in Cold Lake, Alberta for about 6 or 7 years and this is where she remembers her dad making homemade eggnog with rum the most. She recalls that he loved the stuff and always had a cup of eggnog in his hand at Christmas. 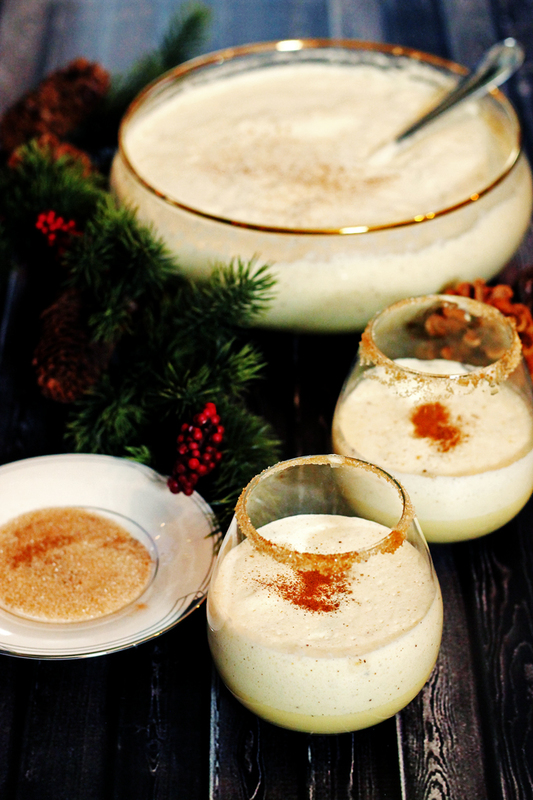 Back then, it was tradition for people to go house to house on Christmas Eve and in their house, the homemade eggnog was always placed in the middle of the coffee table with appies all around the bowl, ready for when people came by. Peter passed away many years ago now… He was a quiet man, but he had a great sense of humor and he is sure missed! So needless to say, when she found his homemade eggnog recipe we knew we had to make it. I wont say that its an easy recipe. The individual parts of it are easy, but there’s sure a lot of mixing ingredients separately and then finally mixing the three parts together in the end. That said, its sure worth the effort! As I mentioned, Debbie and I both don’t really care for eggnog, but this homemade eggnog is light and fluffy and not too sweet. Its lightly spiced and really very very good! I couldn’t believe how much I liked it! And Debbie liked it too. Just goes to show, homemade is always better! Enjoy! 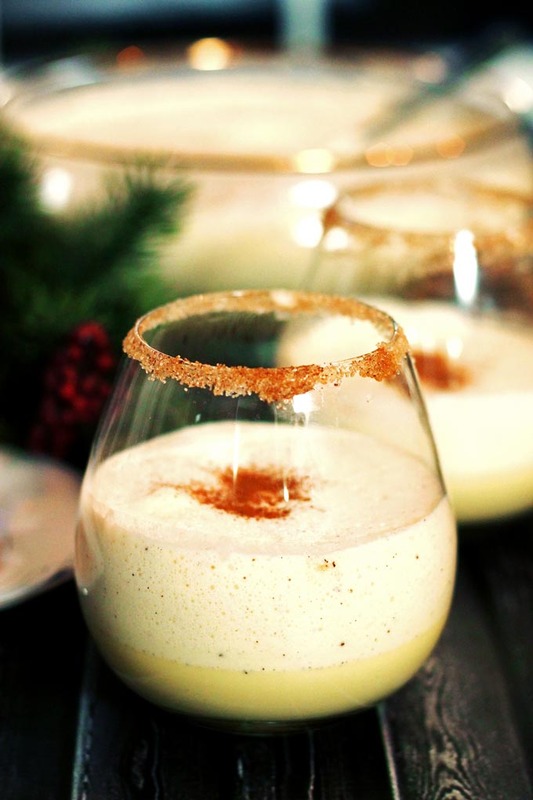 And let us know how you like it if you give this homemade eggnog with rum and kahlua a try. We would love to hear from you! Add the egg whites to a mixer. Beat the egg whites until frothy, gradually add in 1/3 cup of the sugar and beat till stiff peaks form. In another bowl beat whipping cream till stiff peaks form. In yet another bowl beat the egg yolks, add the remaining sugar and beat some more. Add the milk, light cream, rum and Kahlua. Mix well but gently. Slice the vanilla bean lengthwise and scrape the sticky seeds into the mixture. Add the cinnamon and nutmeg. Stir again. Pour all the ingredients into one big bowl or the bowl you’re going to serve the eggnog. Gently fold the egg whites and whipping cream into the eggnog and mix thoroughly but very gently. A whisk helps. Chill and sprinkle with nutmeg or cinnamon when you serve it. We rimmed our glasses with cinnamon and coarse sugar. It tastes delish when you are drinking the eggnog. I am going to attempt to make your eggnog recipe this weekend. But, was it intentional that the milk was listed twice? Also, I presume we are to use black (not spicy) rum? Lastly, I am ignorant, what do I do with the vanilla bean? Hi Bruce! Im so happy to hear that your going to try this recipe. I hope you let us know how it turned out 🙂 As for the recipe… Thanks for pointing out that we double counted the milk. Ive adjusted the recipe. Also, I added some instructions on what to do with the vanilla bean, but basically what you do is slit the bean lenghthwise and then use a knife and scrape the sides of the bean. You will get all the sticky seeds inside stuck to your knife. Then just put those into your eggnog. If you are still wondering what the heck to do with it, Im sure there will be a video on youtube showing how to get the seeds out of a vanilla bean. Oh and the rum… yes you can use dark rum like Appletons from Jamaica or Mt Gay from Barbados or any really. You could also use spiced rum if you like, but we havent tried that. It might taste a little different, but still good. Hope you love it! Hi Linda, I think it will make about 15 cups give or take. Ive updated the recipe to reflect this. Hope you enjoy it! Oh darn, yes they can be tough to find sometimes. I love vanilla so I would use a good splash. 2 tsps to start for me. However, since Im not drinking it… start with 1 tsp, then when you have everything mixed together, add a tsp at a time until you are happy with the flavor. It will still be delicious! Merry Christmas! I do not see the “light cream” referred to in the instructions. Did I miss something? And I presumed nothing can be made ahead of time? This should be a very interesting and fun experience. No worries Bruce! Thank you for pointing out where I missed things in this recipe! The light cream goes into the recipe with the milk. Ive updated the recipe. You could definitely make this ahead of time. 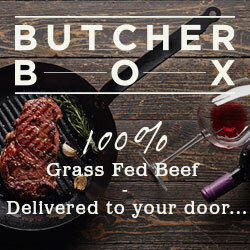 We had ours in the fridge for a couple days and it was just as good then. It needs to be chilled before you serve it anyways. Many thanks again for the replies! I’m excited to see how this goes because it’s a surprise for my wife, who likes eggnog and Kahlúa. I will let you know how the concoction turns out. I’m so happy it all worked out and you all loved it! So funny that you made this in the garage. I was chuckling when you sent me that picture. So funny about the stiff peaks, I was laughing out loud when I read this! It was sure fun for me to come along with you on this endeavor and good on you for trying a challenging recipe! Mine lasted for a week, no problem. I wouldn’t leave it too much longer than that though. What little we have leftover was GONE the next day! LOL… If it hadn’t had such a nice kick to it, we’d have finished it that night, no problem. I made this last night as a trial run for a party I’m having Saturday night. It’s just me and my husband now since our boys are grown and out of the house. Anyway, I chose this one to try because I love eggnog and Kahlua. I figured the two mixed together had to be delicious…and I was right! My husband and I both loved it. I love how it’s not thick, just frothy on the top. Thank you for sharing your recipe with us! Hi Marcia, awwww my daughter is almost grown and Im already sort of starting to feel sad about her impending departure from the nest… I am so happy to hear that you loved our eggnog and I hope your guests love it on Saturday too. Merry Christmas! I can’t find light cream refrigerated anywhere. Is the canned stuff okay? Or would you recommend something else as an alternative? Hi! 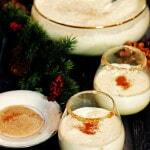 I’m tasked with creating a fabulous eggnog for adults on Christmas this year, and your recipe looks fabulous. Only problem is, my hubby is allergic (WHAT?!) to rum so I’m wondering what your thoughts are about swapping the rum for bourbon. Would it still taste good with the Kahlua? Only do bourbon? Only do Kahlua? A diff. alcohol altogether? I think you are on the right track! Bourbon with Kahlua would be fabulous. I hope you all enjoy! Merry Christmas.